DAN unveils a HIRA program for the dive industry. The DAN Hazard Identification and Risk Assessment (HIRA) program is designed to help dive operators and professionals shore up safety in all aspects of their operations. The best leaders, whether they're CEOs or dive instructors, share their knowledge and experience with others to build stronger, more resilient communities. Through new injury- and accident-avoidance programs, Divers Alert Network® (DAN®) empowers divers and dive professionals with information and tools to make every dive safer. DAN's latest initiative is the DAN Hazard Identification and Risk Assessment (HIRA) program — the first such in-depth and focused initiative in the dive industry. What hazards do we face? What is the likelihood of something going wrong? Can we remove or prevent the hazard? In an emergency, what steps can we take to mitigate damage or injury? Buddy checks, emergency action plans and safety training are just a few of the tried-and-true tools dive professionals and prepared divers use to make every dive safer. Unfortunately, incidents still occur. DAN staff collect as much data as they can about dive accidents, including the circumstances leading to the problem. This information provides useful insights into the most common causes of dive accidents. To help dive operators and professionals zero in on the factors most likely to cause an emergency situation or liability claim, DAN developed a HIRA program to specifically address the real-world concerns of the dive industry. DAN's HIRA program is based on well-established HIRA practices in other industries and community-safety agencies including the U.S. Occupational Safety and Health Administration (OSHA) and the Federal Emergency Management Agency (FEMA). The program, which is 100 percent voluntary, is offered at no charge to DAN Businesses and DAN Pros. Just as dive instructors teach rescue diver students about scene assessment and global awareness, DAN's HIRA program helps business owners, staff members and dive professionals objectively evaluate their business. "The primary goal of a HIRA assessment is to prevent an accident from happening — to be proactive instead of dealing with the unfortunate and costly consequences of an accident," said Francois Burman, PE, MSc., director of Diving and Hyperbaric Safety at DAN. Ensuring fill stations and cylinder storage areas are well maintained and organized are important aspects of running a safe dive business. "The program is based on issues from dozens of real-world dive operations; it's not just theory, and it's truly comprehensive," Burman said. "Common issues include staff health and safety, filling-station hazards and the potential for slips and falls on the pool deck or dive boat." Three levels of HIRA assessments enable dive operations to systematically identify and reduce the likelihood, severity and impact of dive incidents in a progressive manner. Each assessment is available online, and dive operators or professionals can complete the assessments gradually or all at once. Participants can save evaluations along the way to allow for fulfilling additional training, updating an emergency action plan or addressing a hazard. "DAN HIRA was designed with busy dive operations in mind — so even if participants have only 10 minutes to spare, they can log in and benefit from the program," said DAN risk-assessment team leader Reilly Fogarty. "Of course, the more time you can spend working on it, the better the results will be. But you don't have to complete the entire program to find ways to improve safety and reduce the risk of liability claims. It's about education, awareness and changing the safety culture; it's not about compliance." Nearly two dozen dive operations in Florida, California and North Carolina helped to fine-tune and streamline the program. More than 60 dive operators around the world have already participated. Even the most experienced operators found unaddressed hazards such as an empty and badly corroded oxygen cylinder, lack of ear protection at the fill station or a need for grip tape in the boat head. "By sharing the dive-accident information DAN has gained over the years, we want to educate and empower dive leaders to reduce risk," Fogarty said. "The changes can be as simple or complex as staff time and resources allow." rosters are important to reduce risks. One HIRA participant, for example, identified the pathway to the dive center's public restroom as a potential hazard. The route required customers to walk through a storage room where tanks stood upright and unsecured. To reduce the likelihood of injury, the dive center's staff determined they had three good options: map out a designated walkway with colored tape, secure the tanks to the wall using bungee cords or move the tanks to another room. No two dive businesses are alike, so DAN's HIRA program includes optional hazard-assessment modules for dive boats, retail areas, equipment repair stations and others. In the training pool module, dive operations can assess their risk for injuries and claims due to slip-and-fall injuries or overuse of chemicals. Mitigation techniques may include applying an anti-slip coating and developing a chemical-monitoring and education procedure. Securing expensive dive equipment is another aspect of DAN's HIRA assessment. By installing alarms, cameras, smoke detectors and other devices, a business can reduce its risk of equipment losses due to fire or theft. Dive operations in areas prone to flooding could protect equipment by raising it off the ground using crates or installing shelves. Unexpected liabilities can sink a business, but a proactive, prepared business can save money on repairs and liability costs. In addition to preventing costly, time-consuming and stressful incidents, a HIRA assessment supports a healthy bottom line. A dive operation with a reputation for safety ensures divers can book with confidence. A demonstrated commitment to safe diving can also help attract and retain top dive professionals. Dive operations that complete HIRA assessments have shown a dedication to safety and will receive special recognition from DAN. HIRA is a fundamental element of DAN's ongoing work to cultivate a culture of safety in the dive community. The program is designed to help busy dive professionals accurately and efficiently assess all aspects of their operation to prioritize customer health and safety, ensure workplace compliance and reduce risk. If you have questions or want additional information, email RiskManagement@DAN.org. DAN's HIRA program helps dive operators identify and mitigate risks before they lead to costly or tragic injuries. The program, which is divided into three online assessments, is available at no cost to DAN Pros and DAN Businesses via DAN.or. Participants may complete all three levels in a week or as time allows. Operators who complete one, two or all three assessments will receive special recognition from DAN in addition to other promotional benefits. Participating in the DAN HIRA program, which is completely voluntary, can help dive professionals feel confident they’re doing everything they can to operate safely. The DAN HIRA Level 1 assessment is a nine-step evaluation to verify whether a dive operation or dive professional has the essential emergency preparedness training and equipment. One example from the evaluation is to confirm that all first-aid and CPR certifications are current. This assessment can help a busy dive operation identify and correct some of the most common safety-related problems. Train staff in basic first aid for hazardous marine life injuries. Schedule an emergency simulation drill. Provide hearing protection in the compressor room. Establish a maintenance schedule for first-aid kits and oxygen units. The highest-level HIRA assessment is comprehensive, considering nearly every aspect of a real dive operation for optimal safety and risk management. While most dive operations will be able to complete the HIRA Level 3 assessment online, an on-site assessment to assist in applying the program may be available. Designed for dive operations with multiple staff members, HIRA Level 3 applies only to DAN Businesses. Once a dive operation identifies hazards and determines real risks, the solutions can be as complex or as simple as resources allow. To reduce the risk of a slip and fall on a slippery pool deck, a dive center could apply a nonskid coating or use mats. On dive boats, use of grip tape and grab bars may be the best options to prevent injury to divers and staff. DAN HIRA includes an emergency action plan (EAP) tool to help simplify the process of developing EAPs. The tool at DAN.org/EAP-Guide is accessible to everyone, so shop owners or managers can delegate plan creation among their staff as needed. Many divers assume their chosen dive operator has the appropriate emergency equipment, a plan to handle emergency situations and staff trained in first aid and emergency oxygen administration. But as a certified diver, you bear the ultimate responsibility for your safety. Confident, prepared divers are sensible, not complacent, and responsible, not dependent. Don't feel reluctant to ask about a dive operator's emergency procedures and commitment to safety. Most dive professionals and operators are firm advocates of dive safety and will be happy to answer questions. Before you set foot in a dive center, first choose the level of service that meets your needs and experience. Do you want a one-stop shop that offers full logistical support, including guides, rental equipment, gas supplies and assistance with dive planning? Or would you prefer a more bare-bones, adventurous experience? Identifying how much interaction and assistance suits your style can help manage your expectations. A HIRA certificate on their wall will provide you with some degree of confidence that even the most economical choice of dive operator is committed to your safety. Staff training: Verify that the operation's dive professionals and boat crew hold appropriate qualifications. Ask about which staff are trained in CPR and first aid, where the emergency oxygen equipment and automated external defibrillator (AED) are located, and how many staff members have been trained to use them. Professional attitude: The staff should be friendly but professional. Pay attention to how the dive staff respond to divers' questions and concerns. Are their answers thorough and easy to understand? Cleanliness and order: Is the diving equipment in good order, and is the facility well-maintained? If rinsing basins are provided, check whether the rinse water is clean and clear; never rinse your equipment in stagnant-looking water. Equipment quality and maintenance: All equipment should be well-kept and clean, especially gear — such as regulator mouthpieces and masks — that goes in the mouth or on the face. 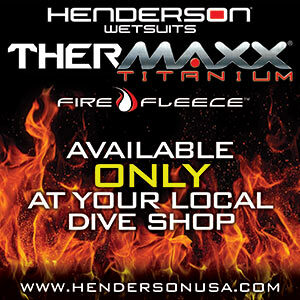 The dive staff should take time to explain the features and operation of any gear you purchase or rent. Air quality: Make sure your breathing gas and the tanks used to carry it are stored, handled and maintained with care. Every tank should have a hydrostatic-test inspection date stamped somewhere near its shoulder. Ensure that date is no more than five years old and that the tank shows no evidence of corrosion. Look for a sticker showing the tank's most recent visual inspection. If a fill station is on site, it should be clean and orderly — look for a certificate of air-quality testing displayed nearby. Emergency equipment: Every dive operation should have an emergency oxygen unit and a first-aid kit. If you don't see these items at the dive site or on the dive boat, ask about them. The emergency oxygen unit should be well-maintained and clearly visible. Check the oxygen cylinder for evidence of corrosion, and verify the current fill level. Constant-flow devices such as nonrebreather masks are single-use, disposable items; noticeable wear on these is a red flag. An easily accessible, well-equipped first-aid kit should be near every shore entry point and on every boat. Boat safety: Vessels should be well-maintained and in good order. Confirm that an easily accessible emergency action plan (EAP) is on board. The boat deck should have an anti-slip surface, and entering and exiting the water should be safe and easy. Entry and exit procedures: Ask about recommended entry and exit procedures. When waves or currents are a factor, you want a procedure that minimizes your time on the surface. If boat traffic isn't mentioned, ask about this potential hazard. Comfort factors: Ask about the availability of drinking water, complimentary sunscreen in case you forget yours and shaded areas. EAP: The more remote a dive site is, the more important emergency planning is. Ask to see the dive operator's EAP before you sign up for a dive. If an operator or guide uses dive locations with varying conditions, look for an EAP specific to each location. When choosing a dive center, a demonstrated commitment to safety is as important as five-star reviews and enviable social media photos. Prepared divers take responsibility for their personal safety and well-being, know what questions to ask and avoid unnecessary risks. A prepared diver knows to look for the HIRA certificate.